The herbs saw palmetto, pygeum and nettle root all have been used to treat men with benign prostatic hyperplasia, a condition also known as an enlarged prostate. The herbs can be taken alone or together to help relieve some of the bothersome symptoms of BPH, including nighttime urination and difficulty urinating. Despite their common use and anecdotal indications that they reduce symptoms, the herbs do not appear to reduce the size of the prostate, according to the National Institutes of Health. Never use herbs to self-treat BPH. Always speak with a medical practitioner before using an herbal remedy to treat BPH or any other medical condition. Saw palmetto supplements are generally safe. The National Institutes of Health states the most commonly experienced side effects are upset stomach, stomach pain, nausea, vomiting, diarrhea and constipation. Some men have also reported sexual side effects such as pain in the testicles, difficulty with erections, changes in libido and pain and tenderness in the breasts. Other reported side effects include headaches, muscle pain, difficulty breathing, difficulty sleeping, dizziness, chest pain, high blood pressure, heart disease, abnormal heart rhythms, depression and liver damage, but the National Institutes of Health reports that these effects have never been clearly linked to the herb. Because of the risk of increased bleeding, people about to undergo surgery or major dental work should inform their doctor they are using the herb. Because of potential risks, always speak with a medical professional before using saw palmetto supplements. Pygeum supplements are generally safe and well-tolerated. Possible side effects include upset stomach, nausea, diarrhea and constipation, according to the National Institutes of Health. In most cases, these effects are mild and not bothersome enough to stop a person from using the supplement. However, you should always speak with a medical practitioner before using pygeum or other supplements medicinally. 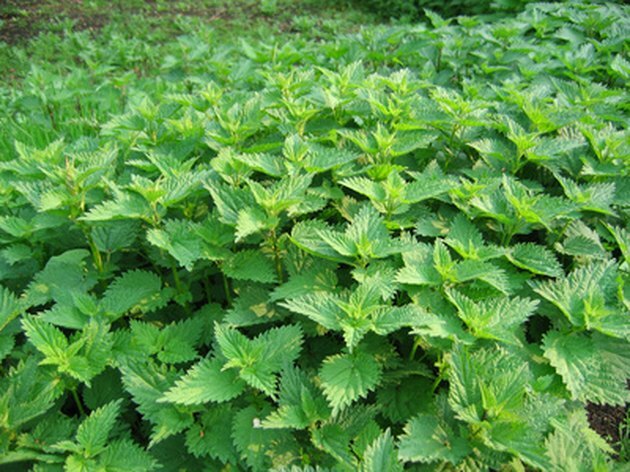 When used as labeled and directed, stinging nettle is generally considered safe. Possible side effects include fluid retention and mild upset stomach, according to the University of Maryland Medical Center. In topical applications, hives or skin rashes can develop. Always speak with a medical professional before using nettle root as a medical treatment for BPH or other medical conditions.